Who doesn’t love a waterfall?! The thrill of experiencing nature at it’s rawest and most elemental; the roaring rush of torrents of water crashing over a cliff edge, the spray drifting through the air: it’s no surprise that visiting waterfalls is often one of the most common travel activities you see listed at hostels and travel agencies throughout the world. And there are so many different types of waterfall to enjoy: the gigantic ‘oh-my-god’ waterfalls that just seem too tall to be real; the crashing, rushing torrent waterfalls that blow you away with their sheer power and force; the small ones with lovely little pools to take a dip in below. And I just sad that size doesn’t matter and go and pick the tallest falls in Colombia to be No. 1! Hypocrisy at it’s finest there people! 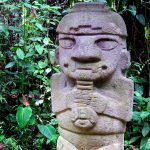 However, La Chorrera, located just outside Bogota at the end of a gorgeous 2 hour forest hike, merits a high place on this list. 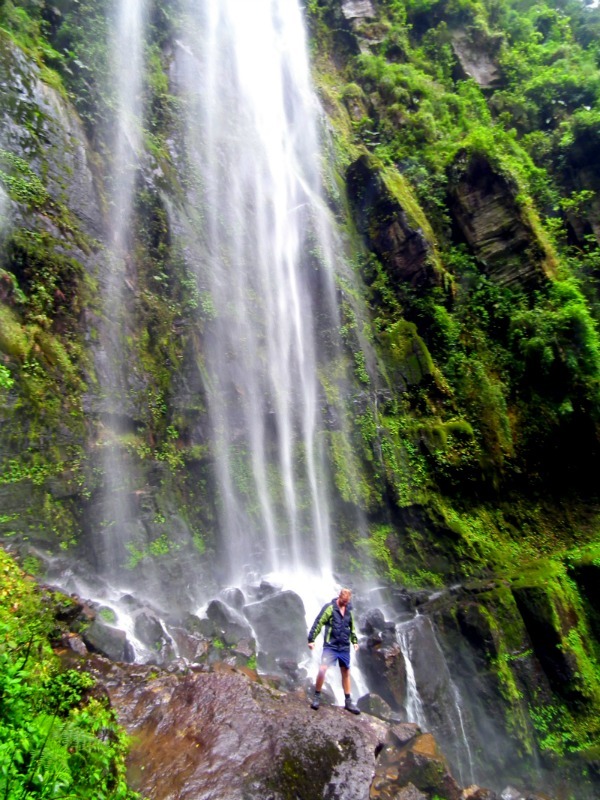 Set on a misty mountain edge in the middle of pristine cloud forest, the falls measure 590m. With the top often shrouded in mist, these falls have a mysterious, romantic quality. You can’t swim, but you can climb down to the area below the falls and bathe in the intense spray and noise. Doesn’t even merit a place in the Lonely Planet….which is crazy! This waterfall, near San Agustin in Huila, is Colombia’s tallest uninterrupted falls, with a height of around 400m. 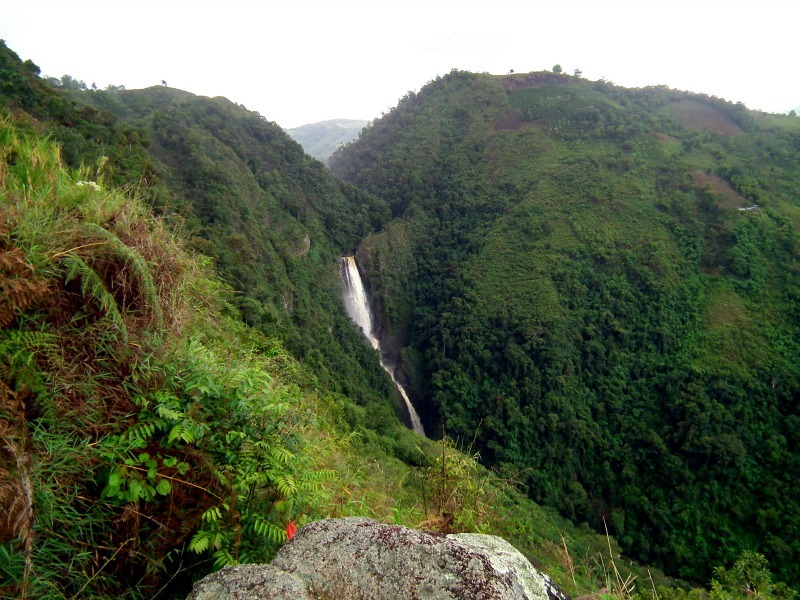 Unlike La Chorrera there is no access to the base of the falls, but what there is is a gorgeous mirador on the other side of the valley, allowing visitors to enjoy panoramic views of the Huila mountains and the waterfall tumbling through the trees. 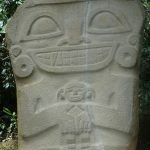 Visits are usually included as part of day-trips that also include some of San Agustin’s more isolated archaeological sites and the narrowest point of the Magdalena River. These falls are not especially well-known around the world, but are a lovely little day-trip to make from the town of Minca in the Sierra Nevada de Santa Marta. You can hike along the dirt-road in the forest for an hour or so, or grab a mototaxi in town to get there. 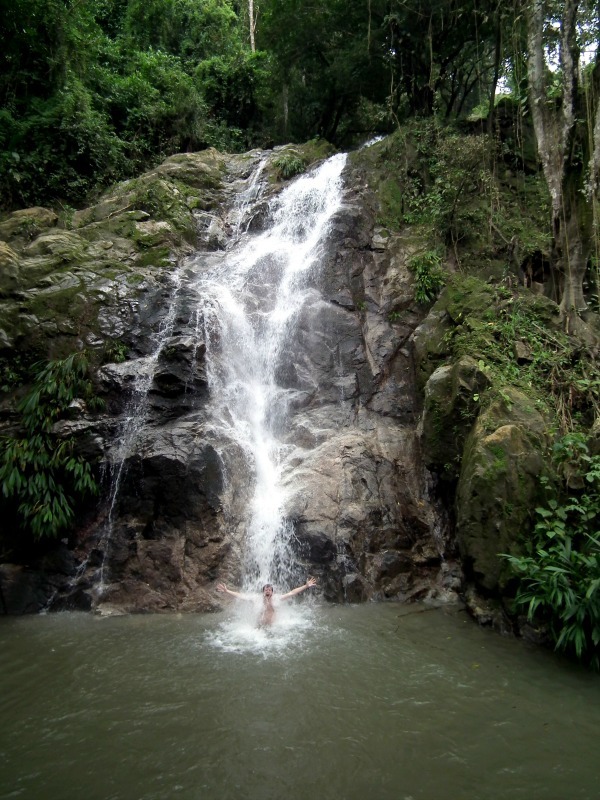 A 3000COP fee allows you access to the falls, and you can swim in the fresh, cold water below the falls. Whilst the site is developed for tourism, in the low-season and on weekdays you basically have the falls to yourself and can enjoy the jungle location and refreshing sensation. Another big waterfall just outside Bogota! Tequendama is unfortunately a victim of pollution from the nearby capital and is no longer the pristine forest falls it once was when the Muisca people credited it with the draining of the lake covering the Bogota savannah, allowing them to found Bacata; their capital which would go on to become Bogota. 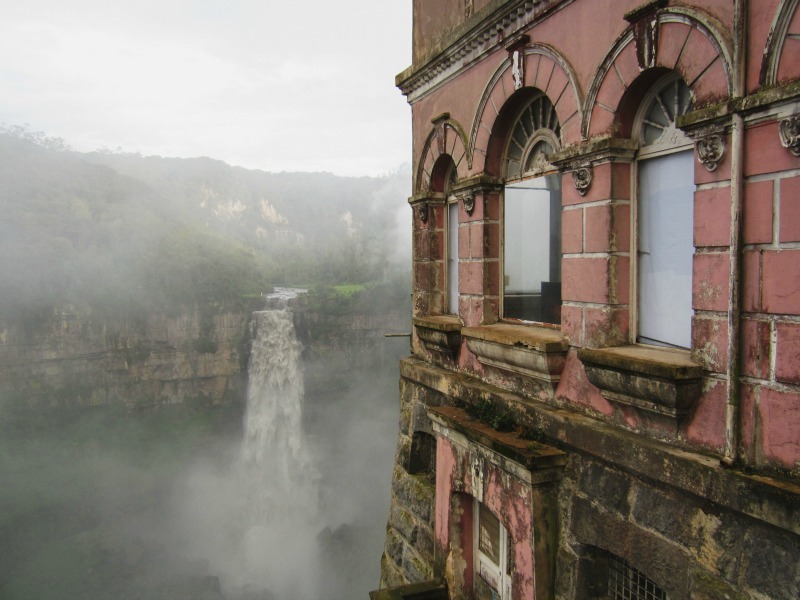 However, the spooky abandoned Hotel Tequendama overlooking the falls, and their misty, 157m drop certainly makes them worth a half-day from the city. I know what you’re thinking…’cueva’ means cave, right?! Well…yes, but it’s what is in this cave that makes the list. 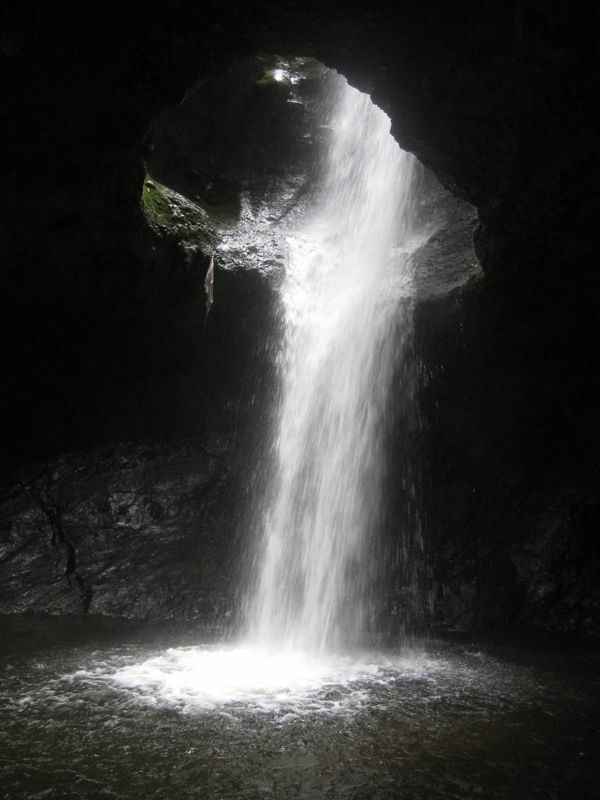 Located near the town of Jardin in Antioquia, this cave contains a round hole to a river above allowing a small, but beautiful waterfall to fall into the cave from above, creating an amazing opportunity for swimming, caving and abseiling all in one. You can organize visits in the town, and prepare for a fun, adventurous experience in a waterfall that few people have visited. 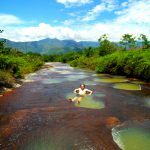 This list is limited to 5 falls but we could also have included Salto Candelas in Boyaca, Salto del Duende in Santander, Salto del Mortino in Huila, and numerous small falls and plunge pools through the mountains and forests of the country. 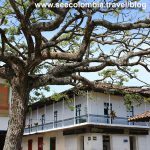 Travelling around Medellin: The charming town of Jardin. Good article. Do you know the name of the waterfall above Corconá, on the road to Medellin? 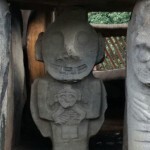 A photo I took is at https://goo.gl/photos/U2ggxkab2agmTvzH8.